If you’re in the market for a toaster oven, Amazon has a hot deal for you! Toaster ovens are great alternatives to microwaves if you prefer not using a microwave. Amazon’s offering up a big price cut AND an $8 coupon on the highly rated Black + Decker 4 slice toaster oven. This oven comes with a bake pan, broil rack and toaster rack. 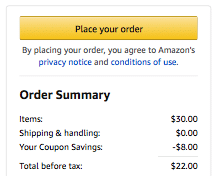 Amazon has the price dropped down to $30, plus there’s an $8 off coupon, dropping the price all the way down to just $22! 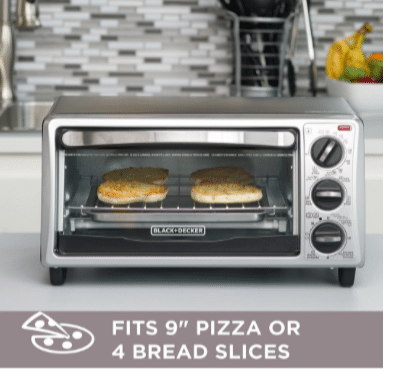 As a price comparison, this same toaster oven is going for $39.99 at Target, so this is such a hot price! Hurry and grab it here (you can clip the coupon under the price). 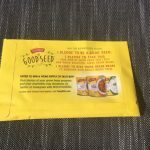 PreviousPrevious post:$6 off 5 Qualifying Prime Pantry Items (Tons of Organic Deals Included)NextNext post:2 New Silk Dairy Free Coupons- Print now!